Monkey Beach Cottage is a charming 300-year-old Grade II listed house on Mersea Island which has been in the owners’ family for decades. Looking directly over Mersea’s famous Monkey Beach, it has stunning views of the sea and moorings. was used as agricultural land. Now it is chic self-catering holiday accommodation with huge character and a very large enclosed garden. Just a stone’s throw from the beach and minutes to the oyster restaurants and West Mersea Yachting Club, it is the perfect place to stay on the Island. 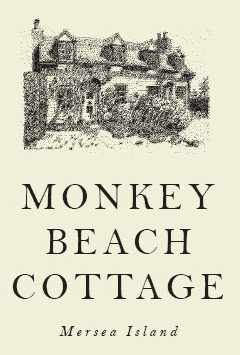 Whether for a weekend, a week or a fortnight’s stay, Monkey Beach Cottage is truly an exceptional property. One of the Sunday Times' 20 best beach houses in Britain.